I'm slowly wrapping up my trip home and headed back to the big city tomorrow, but now I really have the Fourth of July on my mind and I'm sure you do too! 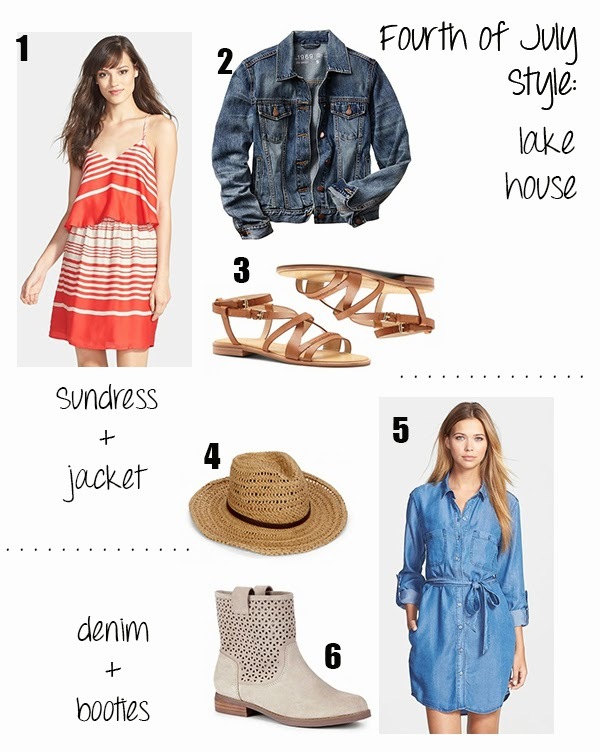 Last week, I shared some outfit inspo for a Fourth of July city BBQ and today I put together two outfits that I'll be pulling inspiration from for my trip to the lake house this weekend. I've definitely been on the hunt for a cute red/white/blue sundress because what's better than a denim jacket, sandals and a sundress with some hot dogs and a beer in hand? Not much on the Fourth of July!